"This quilted table runner I called Winter Snowfall. 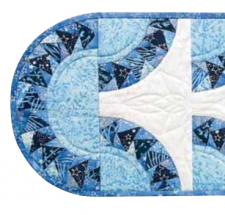 It uses Winter Wonderland and Baker's Dozen Sprinkles fabrics from Island Batiks. These fabrics worked wonderfully to give the feeling of snowflakes flying in a winter sky. The curved flying geese are paper pieced." "Bring the sparkle of a frosty night indoors with this classic table runner by Connie Kauffman of Nappanee, Indiana. 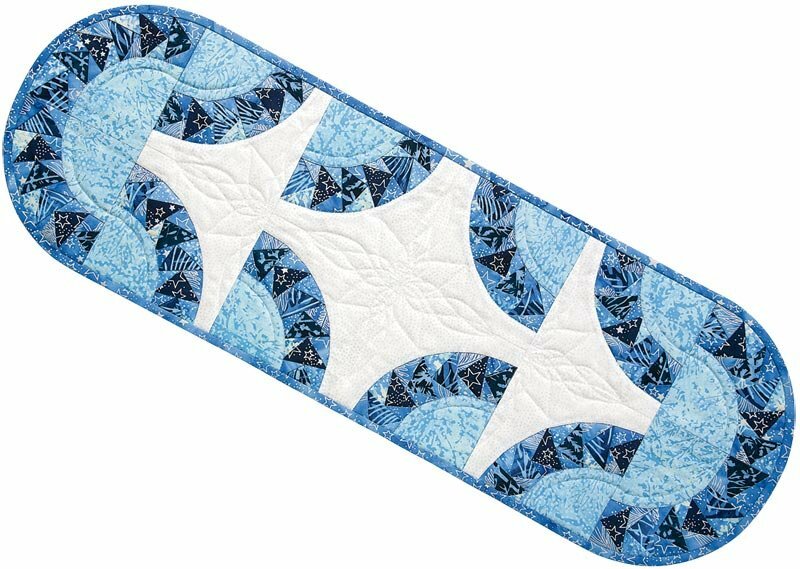 Foundation piecing makes it easy to sew the curved flying geese units, and you can choose to piece the blocks using traditional template piecing or machine applique, eliminating curved piecing if you desire."